Greater Dayton Conservation Fund of The Dayton Foundation and Partners for the Environment are working with local organizations to help preserve our region’s environmental and agricultural resources. 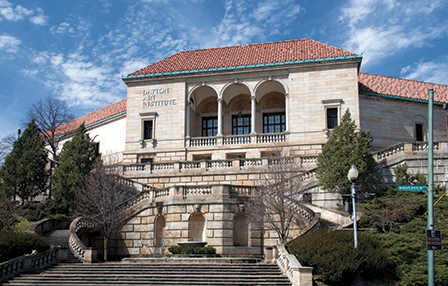 Established as a school in 1919, Dayton Art Institute has evolved into one of the finest mid-sized art museums in the country. It’s been 100 years since the Dayton Art Institute (DAI), then known as the Dayton Museum of Arts, first opened its doors. The museum quickly was embraced by the community, and counted some of the area’s most respected citizens among its founding patrons, including Orville Wright and the Patterson family. It enjoyed such popularity, in fact, that Julia Shaw Patterson Carnell, local philanthropist and one of The Dayton Foundation’s founders, contributed $2 million to help build DAI’s current home when it outgrew its first location after only a decade. The museum welcomes more than 125,000 guests each year. A century later, DAI continues to thrive and has become one of Dayton’s most treasured and recognizable buildings. 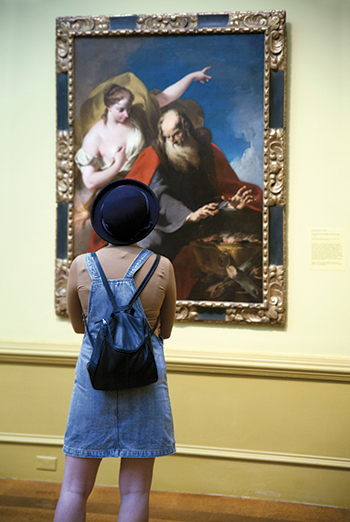 More than 125,000 guests visit the museum each year for arts experiences, educational programming, life celebrations and popular events, such as Oktoberfest and the Art Ball. To commemorate its centennial anniversary in 2019, the museum is looking to leverage this momentum through its Centennial Campaign: Caring for Our Treasures, Connecting with Our Community, Preserving Our Future. The campaign was initiated to help DAI raise $27 million for much-needed capital improvements and to build an endowment to sustain this local landmark for future generations. 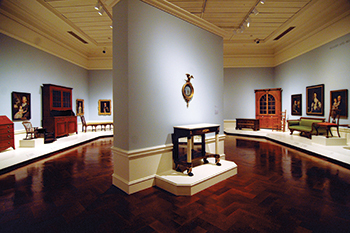 “Dayton Art Institute is the keeper of the community’s art treasures. It’s estimated that the museum has an $8 million impact on the region annually,” said Michael Roediger, director and CEO of DAI. “Through our Centennial Campaign, we hope to make the museum more accessible and welcoming to help us continue to create a place where our community can gather for celebrations, experiences and dialogue in the years to come. ”More than $14 million already has been raised, enabling DAI to make necessary updates to its iconic, 89-year-old, Renaissance-style building, which is on the National Register of Historic Places. Among the improvements underway or completed are updating restrooms to make them ADA compliant, adding door openers and larger labels in galleries, renovating the auditorium and installing new windows in the upper galleries. Other planned projects include restoring and reopening the museum’s balcony, a complete restoration of the historic front hillside and more. art from around the world and spans more than 5,000 years. The Dayton Foundation supported these efforts with a $75,000 discretionary grant in 2016, which DAI used to update its climate-control systems. The Foundation grant helped ensure that art in the galleries will be stored at a consistent temperature and won’t be affected by heat and humidity during the summer months. In addition to the grant, Foundation staff have provided counsel and advice throughout the campaign, as well as worked with the museum’s leadership team to establish the Dayton Art Institute Centennial Endowment Fund to help with its goal of building a more robust endowment. “The Dayton Foundation has been an amazing partner since we started planning for the Centennial and to reinvest in the museum,” said Julie Liss-Katz, former chair of DAI Board of Trustees. “DAI and the Foundation were established within two years of each other and have been historic partners ever since. Through professional counsel and strategic endowment planning and support, the Foundation has helped DAI set the course for its first 100 years and continues to assist us as we move into our next century. We are honored to be a part of The Dayton Foundation family. programming for people of all ages. ”Since the campaign’s launch last fall, public support has been strong. DAI is looking to the community to support the Centennial Campaign and help build its endowment to a level that keeps the museum flourishing for future generations. To support this effort, please consider making a gift to the Dayton Art Institute Centennial Endowment Fund here. Good News is made possible by five Dayton Foundation donors and families who have stepped forward to become the Foundation’s 2018-2019 “I Believe!” Partners. Click here to read their stories. Download a PDF of the full newsletter here.